Sky Talon / Valkyrie kit crossed with 1:48 Mil Mi-24 kit including storage diorama for magnetized gear and guns options. Part of a double diorama. 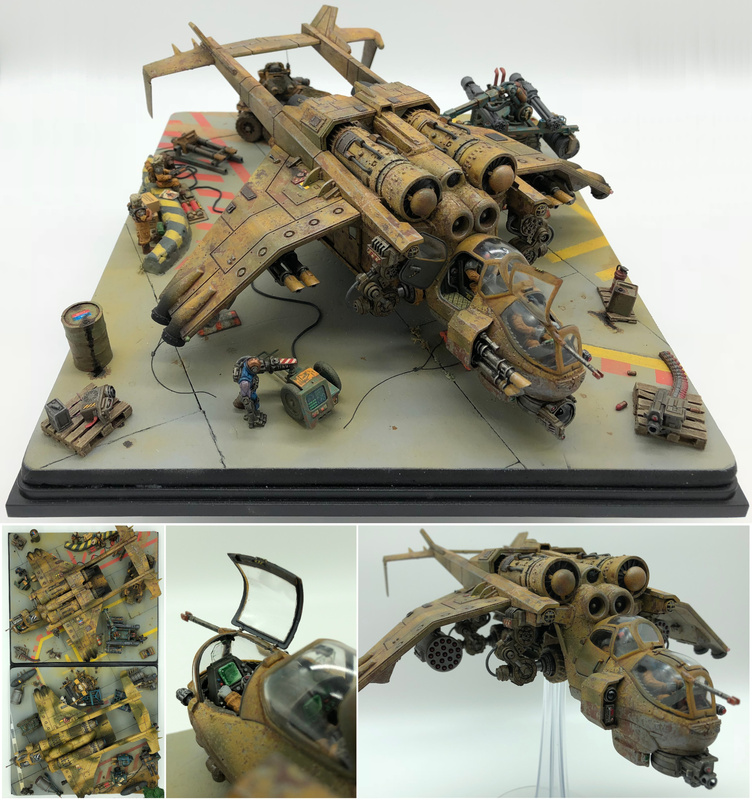 Thst is the ultimate way to present "airplane" models, and you've done it in a stunning way: embedded in a diorama with realistic workshop life around the model itself, but not overcrowding the base. Plus: fantastic conversion and a great paint job - the aging on the wings and turbines is really striking. This is my highlight of the month, thanks for sharing! That Hind conversion is killer! And I dig the dio.